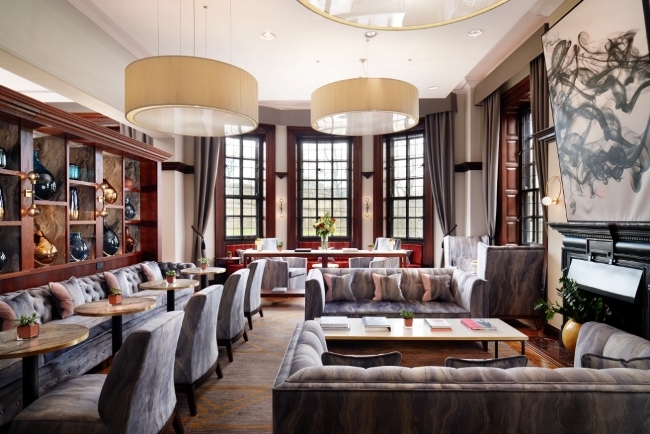 The Grand Hotel & Spa, York has opened its new White Rose Lounge – the only five-star hotel outside of London to feature a concept of this kind, offering an exclusive home-away-from-home residence with tempting food and drinks offerings in collaboration with local producers. Located on the ground floor of the hotel, the new White Rose Lounge provides guests with ultimate exclusivity, modern conveniences, and attentive service. Guests can begin their day with an energising breakfast, followed by afternoon tea delights and evening canapes, along with a selection of alcoholic and non-alcoholic beverages. Overlooking York Minster, The White Rose Lounge is fully equipped with TV screens, working stations with iMac laptops and printers, complimentary Wi-Fi, as well as newspapers and books, creating an ideal space to relax or catch up with business. Philip Bolson, general manager at The Grand Hotel & Spa, said: “We are delighted to open our new White Rose Lounge. Our aim is to provide guests with an exclusive and unique experience during each stay and the lounge has been created with inspiration from The Grand’s Edwardian past, with lavish furnishings and state of the art technology, for the modern guest. The White Rose Lounge is part of the hotel’s £15 million expansion and refurbishment, which has already seen the opening of a brand-new restaurant, The Rise, serving modern cuisine across a Yorkshire tapas-style ‘small plate concept’, along with relaunching The Grand’s 3 AA Rosette restaurant, Hudsons by Craig Atchinson, providing an intimate fine dining experience through a nine-course tasting menu and wine flight. last month, The Grand has also doubled the number of five-star hotel rooms in York, providing even more guests in York a luxurious experience, and will be completely transforming the guest check-in experience later in the year. Complimentary access to the White Rose Lounge is available to guests staying in The Grand’s suite rooms. Upgrade options are available for Classic and Executive rooms and twelve-month memberships are also available for frequent visitors and York locals, allowing members and one guest full access to the lounge and facilities.